Gartner Symposium/ITxpo 2018 | 8x8, Inc.
CIOs and senior IT executives know that digital transformation is a top priority in their business. It’s not a matter of if but when. The vision is there but taking the steps forward and overcoming all the technology, process and approval barriers is key to crossing the finish line (or some people might say the starting line). 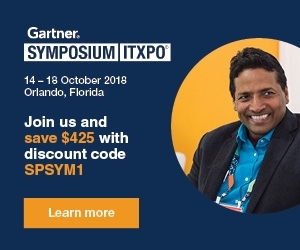 At Gartner Symposium/ITxpo happening October 14-18 in Orlando, Florida, you can network with over 8,000 CIOs and senior IT leaders, attend sessions on digital transformation, data and security and get strategic counsel from 8x8 communication experts. Stop on by our booth to meet 8x8 communication experts and demo X Series and our new team messaging platform. We’ll provide you with insight on how to move your business to the cloud (or if you are already there choose what type of cloud infrastructure) and transform your customer experience from “I don’t know” to “I got this”. With our one system of engagement for cloud voice, video, collaboration and contact center and one system of intelligence on one cloud communications platform, businesses can now communicate faster and smarter to exceed the speed of customer expectations. As a thank you for visiting our booth, you will receive a small 8x8 gift and be entered to win a Samsung Gear 360 4K camera. Are you a CIO or senior IT executive attending Gartner Symposium/ITxpo and would like to meet with 8x8? Fill out the form below to request a meeting. Thank you for submitting your 8x8 meeting request for Gartner Symposium/ITxpo 2018. We will be in touch shortly. Stay tuned to this blog for all the latest details. Transforming your communications platform can drive hyper growth, and according to Steve Tillim, VP of Information Technology at Strategic Financial, moving to the cloud created business opportunity and 50% YoY growth. 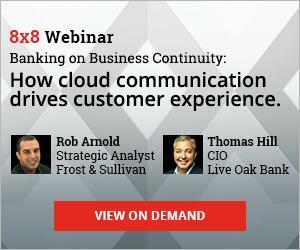 Hear how Strategic Financial revitalized their employee and their customer experience by moving their legacy PBX system to the cloud in less than 60 days. Beyond the benefits of disaster recovery and scalability, Tillim will share where Strategic Financial has seen even greater returns from speech analytics to quality management. Enterprises are on a journey to digital business, and an expansion of their application portfolios. I&O leaders need to modernize for existing applications while adding support for agile development, rapid and real-time scaling, and low-latency analytics. Infrastructures of the future will span enterprise data centers, cloud, and the intelligent edge – enabled and managed by I&O. Cloud computing is uniquely susceptible to the perils of myths due to the nature, confusion, and hype that permeates IT (and beyond) today. Whether they revolve around security concerns or cost savings, cloud myths primarily serve to impede innovation and distract us from real progress toward digital business. 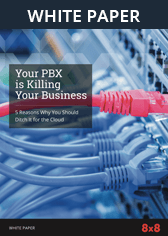 We highlight some of the most dangerous and misleading cloud myths and how to move beyond them. Ask the Analyst: What Are the Top Technology Trends Impacting Midsize Enterprises? What are the top technology trends impacting midsize enterprises? Which technologies can improve business outcomes for midsize enterprises? How can midsize enterprise IT leaders leverage specific technologies to address self-identified challenges and priorities? This session is a good fit for you if your organization has between 5 and 50 people in IT and an IT budget between $5 million and $30 million. Not an apocalypse, but retail is in an evolutionary event nonetheless. Only those that can adapt quickly will survive over the long haul, but what is next for retail? New growth generated by emerging technologies, alternative and adaptive business models and very curious partnerships all must be considerations. Come to explore these and other scenarios which will position retailers for success in 2025 and beyond. Harness a new wave of practices and technology to deliver consumer engagement for your healthcare organization: Consumer access and control of health data will fundamentally change the health data economy. In wave three, digital becomes more digital (automation), and humans become more human (conversational interfaces). Use this vision to plan your engagement strategy. There was a time when having a second best customer experience was not punished by customers, employees, and investors. But in 2018, the organization with the best customer experience is being disproportionately rewarded and the winner takes it all and the loser has to fall. So what are those with the superior customer experiences doing differently, how have they turned their vision into reality and how can you adopt their best practices to also come out on top? 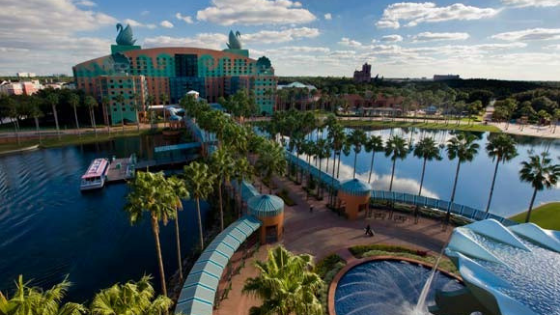 We're excited to attend #GartnerSYM Oct. 14-18 in Orlando, Florida! Request a meeting with 8x8 communication experts and check out our recommended #digitaltransformation & #customerexperience sessions to attend. Still Haven’t Registered? Save $425! Register with 8x8’s priority code SPSYM1 to save $425 on the standard registration rate.